Just a day after it was reported that Samsung was reconsidering its decision not release an Ice Cream Sandwich (Android 4.0) update for the Galaxy S and Galaxy Tab, the company is apparently readying a “Value Pack” that could deliver new features without a full rollout. News of an Android pack comes out of Korea via a Daum report, which roughly states that Samsung could port some Android 4.0 features over to a current Android 2.3 ROM, serving as a middle-ground for Galaxy S owners that are disappointed with the company’s decision not to support their handset. 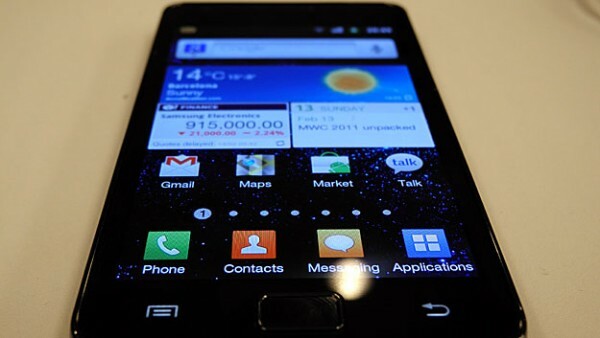 It is suggested that Ice Cream Sandwich multitasking features, increased web-surfing speeds, new widget sets and camera tweaks (including shake reduction) to bring it inline with newer Samsung Android devices. Last week, Samsung explained that memory issues on the Galaxy range stopped the company from delivering an update for its older smartphones. The TouchWiz interface and Samsung Widgets were said to be unreliable on the ageing handset, helping Samsung make the decision not to update the smartphone. We have reached out to Samsung for comment and are awaiting a reply. We will update the article should we receive a response.